Blaster Master holds no nostalgic value for me because I never played the original game – although I did know of it and its iconic chiptune music. Hell, I didn’t even play the previous Blaster Master Zero, although I want to now. I figured I could use a new Switch game to play during the expected frequent power cuts, and Blaster Master Zero 2 looked like the best thing on offer. Developer Inti Creates has certainly found their groove making retro-style games and they’ve been quite prolific, providing me with at least three games I’ve enjoyed in the last two years. Slow down guys, you’ll do yourselves a mischief. They have a knack for developing 8-bit and 16-bit style games while only adding only the tiniest amount of modernisation – but it makes all the difference. BMZ2 is the latest in a series of I don’t know many games… four or five, round about? The story is told in nicely drawn, pixellated cut-scenes, and that portrait-and-text-box method the Japanese love so much. It’s set several months after the previous adventure in which lead character Jason and his robot helper Eve destroyed some interplanetary mutant menace with their agile battle tank, SOPHIA III. Unfortunately it seems like Eve contracted some kind of mutant virus during their mission – although how a robot contracts a virus is beyond me – and they need to visit as many planets as possible to find a cure. Of course things take a few twists along the way, but that’s the gist of it. The general flow of the game is nothing we haven’t seen before – you open up new planetary systems as you play, each one containing a main planet and a few planetoids containing upgrades and new abilities. You can return to any of them whenever you want to find items and secrets you missed using your new gear… you know, the usual Metroidvania kind of gameplay progression. 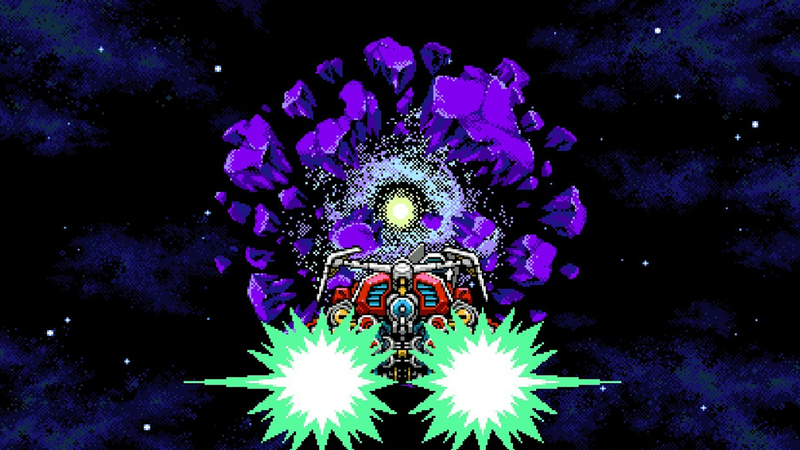 What’s unique about the Blaster Master series is mix of different gameplay styles. 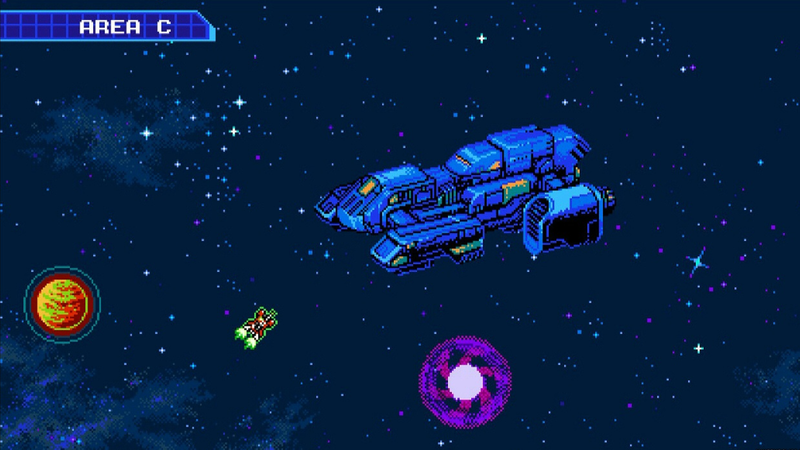 The first is the platforming sections in the tank SOPHIA III, which can acquire all kinds of abilities and weapons, including hovering, wall-jumping, homing missiles, radial energy bursts, and guns that shoot through walls. All of these abilities consume the tank’s energy meter, which you can recharge in one of two ways: either by taking damage from enemies or by falling from immense heights. I’m not kidding, the further the tank falls, the more energy it gets back. It’s a bit counter-intuitive at first, but you’ll get used to it quickly and the sound the tank makes when it slams into the ground, coupled with the controller vibration, is some really good game feel. These platforming sections start out easy enough, but they quickly become frickin’ tough – never controller-snappingly frustrating, but certainly taxing your knowledge of the various abilities and weapons. Jason can also hop out of the tank at will and run around on foot, although he’s weak, has pitiful weapons and can’t fall far without dying. Luckily he can teleport back to the tank if he finds himself stuck and unable to return, and he only has to leave the tank for short times to access the small doors leading to the third style of gameplay – the dungeons. In these dungeons, players control Jason from the a top-down view, fighting enemies, searching for keys and solving the occasional puzzle. The mechanics for Jason’s gun took me a while to figure out. How it works is that you collect red upgrade orbs, and the more you collect, the more different types of firing modes you can switch between – but every time you take a hit from an enemy, you lose one upgrade level, meaning you’ll need to find red upgrades again to access the later firing modes, such as the homing orb, the shield and the arc shot that goes through walls. He can also use grenades and mines, of which he can find several different types over the course of the game. The new ability for this game is called the Blast Counter, which allows you to either shoot or dash attack enemies the moment they attack you. It’s governed by its own energy bar, but recovers quickly and you’re unlikely to be caught empty unless you go nuts. It’s super useful, so you’ll want to master it right away. What really struck me about BMZ2 is the sheer amount of creativity that went into every aspect of the gameplay. I’ve already mentioned the taxing platforming sections in the tank, but what really drove it home for me was a section in a derelict, mutant-infested mothership, where I was constantly pursued by a giant robot in the background whom I had to trick into using his rocket-powered fists to batter open new paths for me. The boss encounters are also pretty damn incredible. I remember when I was told what to do for a mountain-sized boss: shoot it’s vulnerable point until it stops moving, then platform over to one of the many entrances to its body, send Jason in and kill several sub-bosses inside. Rinse repeat until dead. You don’t want much, do you? Believe me, I’d be the first to understand anyone who’s completely switched off to the plague of pixel-art platformers we get these days. 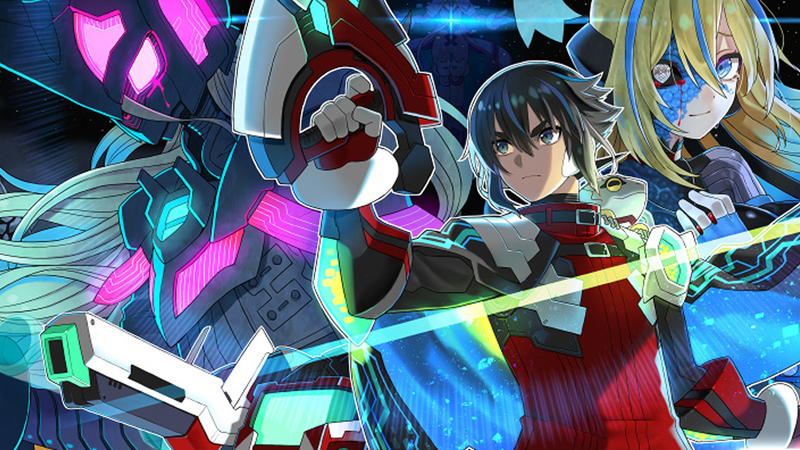 It seems to be the default easy option for any half-arsed developer looking to make a quick buck – but Inti Creates is one of the good ones, and although Blaster Master Zero 2 is deceptively simple on the surface, but it’s got a lot more depth than most and it plays like a dream. 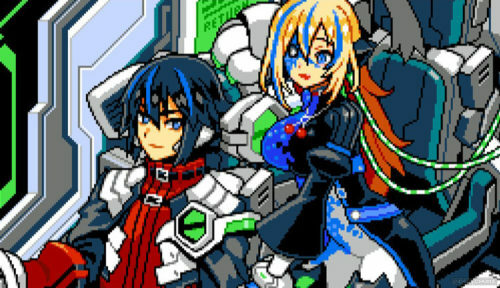 I originally bought Blaster Master Zero 2 to play during load shedding, but I ended up foregoing other games to play it even when the power was on, it's that engrossing. Anyone who likes Metroidvania style games or challening platformers with tightly tweaked controls should give it a go.